”This project and the very generous support and diversity of expertise that converged to make it possible, all ensure the Library’s sound collections are not only preserved but made accessible to a much broader audience than would otherwise ever have been possible, all in the spirit of Free to All.” said David Leonard, President of the Boston Public LIbrary. In 2017, the Boston Public Library transferred their sound archives to the Internet Archive so that the materials could be reformatted digitally and preserved physically. Working in collaboration with George Blood LP, using their specialty turntable and expert staff, these recordings have been digitized at high standards so that others can use these materials for research. This is now the largest collection within the Great 78 Project, which aims to bring hundreds of thousands of 78rpm recordings to the Internet. The records within BPL’s collection represent early twentieth century music and sound recordings from both popular and obscure artists. 78s were made from shellac, a resin secreted from female beetles, and are incredibly brittle and delicate; records can break from simple handling. Digitizing these records is therefore the best way to preserve not only the music on the recordings but also the original artifact itself, ensuring the continued availability of the resource into the future. After the recordings were digitized, volunteers with the Internet Archive and the Archive of Contemporary Music linked the sides to published discographies using a mix of manual techniques and custom algorithms to find dates and context. As a result of these activities, more than 80% of the sides now have dates or links to contemporaneous reviews. 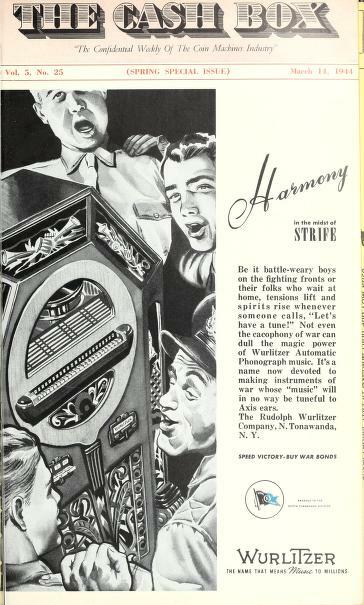 Additionally, more than 250 have been matched to sheet music and displayed alongside the music, based on the digitized collections from Connecticut College. The inclusion of discographies was an important component of this project, providing users the necessary historical context for the recordings. CashBox Magazine was digitized and contributed by the Earl Gregg Swem Library, located at the College of William and Mary in Williamsburg, Virginia. David Seubert of the University of California Santa Barbara contributed database exports to aid matching against UCSB’s Discography of American Historical Recordings. University of Toronto made print discographies available for research in this project. As a result of project activities, more than 750 different labels are represented in the collection, spanning from 1901 to 1966. 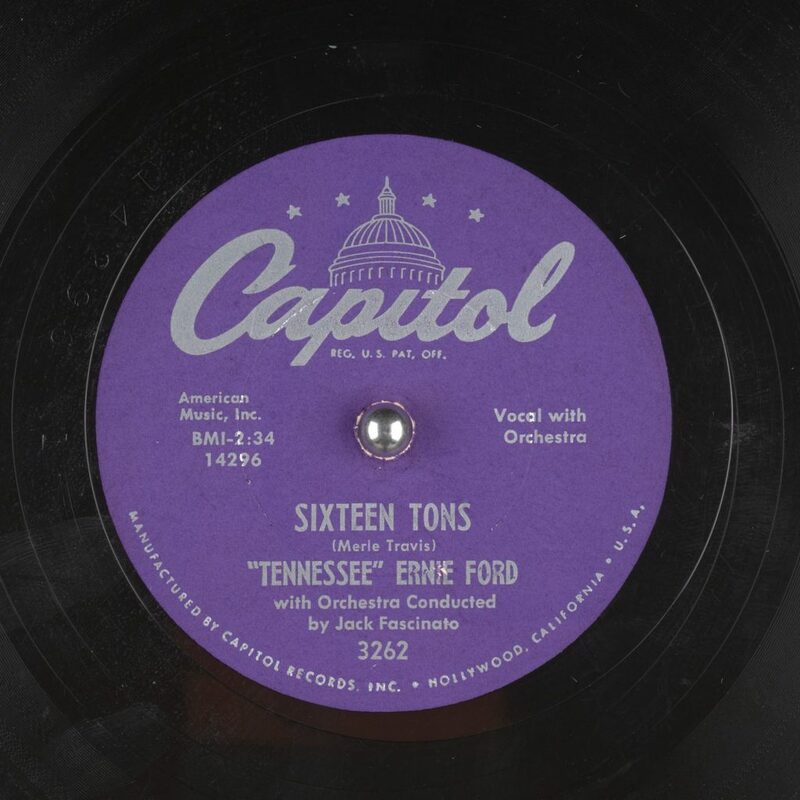 Highlights of the collection include early American jazz and blues recordings, such as 11 sides from the renowned Paramount Records, originally founded by the Wisconsin Chair Company. At an event at the Boston Public Library last month, Brewster Kahle, the Digital Librarian of the Internet Archive, presented the digital files from the 50,000 sides to David Leonard, the President of the Boston Public Library. With the return of the digital files, BPL was able to unlock access to the materials in a form that won’t damage the originals, ensuring the long-term viability of the 78s and the music recorded on them. The project was featured on-air during the Boston Public Radio program the next day, including samples from the recordings. Digitizing your 78’s with the same careful but cost-effective technologies from George Blood LP and then contribute the digital files, but retain the physical discs. We would like to emphasize that “reformatting” library collections by donating the physical objects to the Internet Archive can be a model for cost effective modern access and physical preservation. To learn more about library reformatting, please contact Chris Freeland, Director of Open Libraries. This project was funded by the Kahle/Austin Foundation. This entry was posted in 78rpm, Announcements, Audio Archive, News. Bookmark the permalink. Here is a photo of Brewster presenting the digitized copies of the 78’s to David Leonard of the Boston Public Library. I imagine some of those 78s will outlive both those hard drives. Grateful for the care that went into this and that these recordings can live on to be reformatted in future.